A newly-published patent shows that Apple obtained the rights to a facial recognition system that would allow your car to recognize you as you approach. Such a system would let cars unlock their doors when they see a registered user approach — and maybe even remember how each person likes to position the driver’s seat and mirrors. Don’t hold your breath for smart cars that see you coming, though. The patent was published earlier this week, but Apple originally filed it back in early 2017, according to Engadget. That was before Apple laid off 200 employees from Project Titan, its self-driving car division, in late January 2019. The company had been working on autonomous vehicles for several years prior to the layoffs, so it’s unclear whether the facial recognition patent is a relic from Project Titan’s heyday or if it’s still part of an active project within Apple’s research labs. Facial recognition hooked up to a car door also raises the question of who else gets access to your car. When FaceID made its way to Apple’s iPhone, it quickly became an easy way for law enforcement agencies to bypass passwords — all they had to do was take a person’s phone and hold it up in front of them. There’s no indication if or when this technology will make its way to future cars. But if it does, we’ll face brand new challenges in the back-and-forth between convenience and privacy. 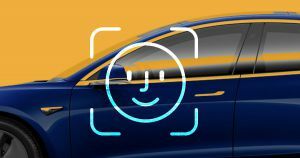 The post Apple Patented Facial Recognition to Unlock Your Car appeared first on Futurism.